Madonna sang a memorable duet with Taylor Swift last night at the I Heart Radio 2015 Awards! Her talons took a turn for the dark side, adorned with NCLA’s Leather & Lace Transparent Nail Wraps, done by Yoko Sakakura to complement her leather and lace attire for the evening. 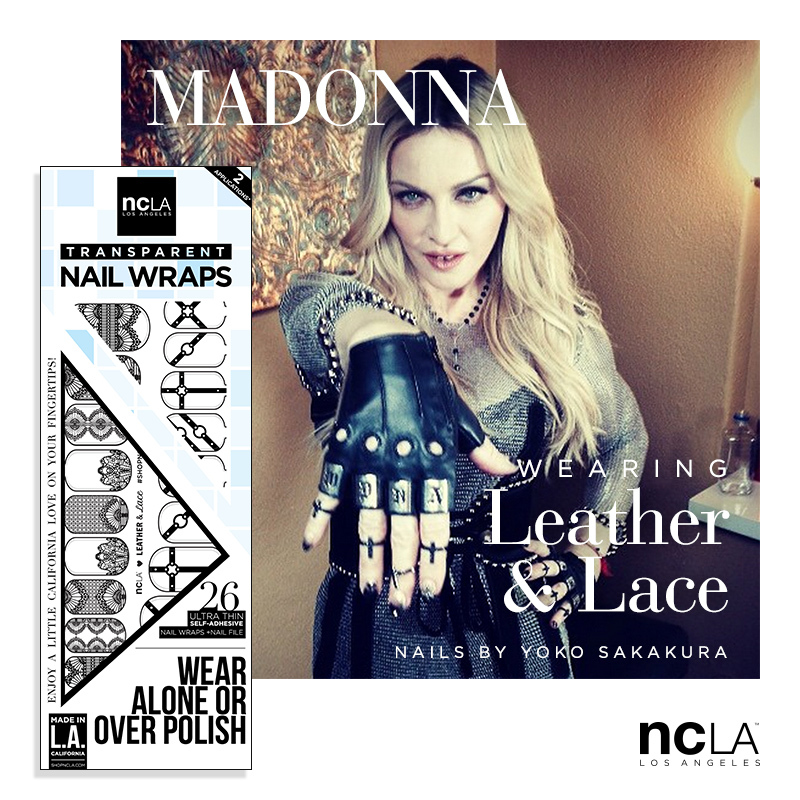 NCLA’s Leather & Lace Nail Wraps ($18) are available at shopncla.com. 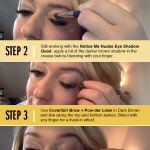 What do you think of Madge’s mani?